Numerology is no one-trick pony. 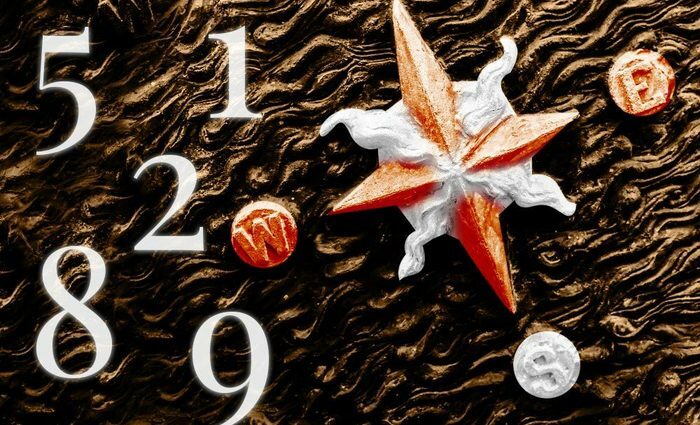 While the Pythagorean method is the most popular system used by enthusiasts and experts in the west, Chinese Numerology is an entirely different and wildly popular system. 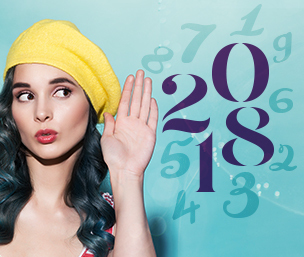 Rather than associating each number with its deep-rooted personality, as Pythagorean Numerology does, Chinese Numerology is based on the sounds the numbers make when said aloud. And if a number sounds similar to a word that is considered negative or unlucky, that number, too, is considered negative or unlucky. However, luck is a concept that does not play a role in Western Numerology. Instead, each number carries with it both positive and negative qualities, and it is up to each individual to manifest the best energy possible from each number. So take a look at each of the single-digit numbers one by one to see how they align across the globe -- and where they differ. East: In Chinese, the word for "one" sounds like the word for "honor" in some Chinese dialects. This number represents independence, but this can also mean loneliness or isolation. The number 1 is the only number associated with the Water element, which symbolizes an ability to break through barriers on one's way to something better. East: The word "two" sounds like Chinese words for "sure" and "easy." 2 is considered a lucky number (hence, the Chinese phrase "good things come in pairs"), representing symmetry and steadfastness. The number 2 is associated with the Earth element, which further represents stability and determination. West: The western 2 is a highly sensitive number with a gentle personality that supports the ideas of forgiveness and understanding. On the positive side, cooperation, care, diplomacy and friendliness are associated with the feminine 2, but the 2 can also be self-conscious, melodramatic and overly timid. East: The word for "three" sounds similar to the Chinese words for "growth" or "birth," symbolizing life and abundance. It is thought of as a lucky number, and is associated with the Chinese element of Wood, which supports creativity and sunrise -- or, once again, "birth". West: The 3 is the creative child in Western Numerology. It is a happy, enthusiastic and very social number. Positive traits of the 3 include imagination, expression and optimism, however the 3 can also be highly vain and egotistical, scattered and moody. Discipline is necessary to channel the positive traits of this number. East: 4 is considered a highly unlucky number in Chinese Numerology, as the word "four" sounds like the word for "death," and therefore represents misfortune. The 4 is avoided at all costs in many parts of China. This number is associated with the Wood element, which, not surprisingly, also represents the concept of death and rebirth. West: In the west, the 4 is the number of solid foundations and hard work. It is a strong and stable number that leaves no room for frivolities. Positively, the 4 is dependable, practical and determined, yet the 4 can also play out in rigidity, frustration, anger and close-mindedness. And while luck is not a part of Western Numerology, let's not look past the fact that the number considered most "unlucky" in western superstitions is the 13 -- which reduces to 4. Because of its association with the number 4, 13 is often considered unlucky in Chinese Numerology as well. East: The five can be both positive and negative in Chinese Numerology. On one hand, it is associated with the five elements of nature, so it is linked to the positive idea of balance. However, in some Chinese dialects the word "five" sounds like the words "not" or "no," which has negative connotations. This, however, turns positive when combined with another negative word, such as "no death," which brings us right back to this idea of balance. The number 5 is associated with the Earth element, achieving stability through balance. West: The 5 is one of the most dynamic and energetic numbers in Western Numerology, and its personality is highly social. While the 5 is original, adaptable, adventurous and loves freedom and variety, it can also lack focus and become unreliable, or fall into the trap of overindulgence and addiction. East: The Chinese word for "six" sounds like Chinese words for "wealth," "profitable" and "smooth," making it an auspicious word that is associated with ease and fortune. The oft-dreaded western number 666 is actually considered very positive in Chinese culture, as it triples the luck associated with the 6. The number 6 is linked with the Metal element, which naturally represents money and conviction. West: The number 6 represents support and sacrifice in Western Numerology. It is the most harmonious of all the cardinal numbers. The 6 is the caretaker who aims to give as much as it receives. Positive influences of this number include compassion, romance and domesticity, but the 6 can also carry on negatively as a selfish and unstable personality with an emphasis on guilt. East: 7 is a positive number in Chinese Numerology, as it sounds like the words used to convey togetherness and connectivity. 7 is associated with the Metal element, which supports the idea of abundance in friendships and relationships. West: The 7 is the seeker of truth in Western Numerology. It is a spiritual number that takes nothing at face value and is on a constant search for what lies beneath the obvious. Though aware and contemplative, charming and insightful, the 7 can also tend to be possessive and withdrawn -- quite the opposite of the idea of togetherness this number carries in Chinese Numerology. East: The 8 is the most prosperous of numbers in Chinese culture, as the word for "eight" sounds like the words for "prosper" and "wealth." It is considered a highly lucky number and is worked into daily life as much as possible in many areas of China (think addresses, wedding dates, phone numbers, cash gifts, etc.). The number 8 is associated with the Earth element, melding the ideas of stability, determination and goals with the realm of money and success. West: The 8 represents balance above all else in the west. Like Chinese Numerology, the 8 also represents success and prosperity in the west -- but not free of cost. One must give generously in order to receive the benefits of the 8. From a positive angle, the 8 represents efficiency, power, strength and respect, but negatively, the 8 can be greedy, aggressive and dishonest. East: The number 9 is a positive number in Chinese Numerology, as it sounds like the pronunciation of the word "longlasting" and represents longevity. The number 9 was also traditionally associated with China's emperor. 9 is the only number associated with the Fire element, which stands for ideas of motivation and truth. West: In the west, the number 9 is the most worldly and sophisticated of all the cardinal numbers. The 9 is a broad and idealistic thinker, full of sympathy and compassion for all. On the positive side, the 9 is all these things plus artistic, sociable, humane and forgiving, yet the 9 can also be seen as aloof, arrogant and romantically detached.